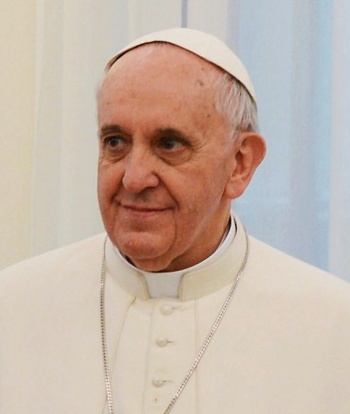 Pope Francis Describes Internet as "A Gift From God"
In a recent communication, Pope Francis encouraged his followers to embrace electronic media while warning of the hazards of obsessive use. There's a strong perception that technology and religion don't get along, but in truth, that's usually far from the reality. Both the secular and spiritually-minded use all kinds of electronic media these days, from PCs to mobile phones, with support extending well into religious institutions. The Catholic Church is one such example, especially now that Pope Francis himself has proclaimed the benefits of online communications. Francis even went so far as to call the internet "a gift from God" that allows peoples from different backgrounds and faiths to better understand one another. "In a world like this, media can help us to feel closer to one another," Pope Francis writes. "Good communication helps us to grow closer, to know one another better, and ultimately, to grow in unity. The walls which divide us can be broken down only if we are prepared to listen and learn from one another. We need to resolve our differences through forms of dialogue which help us grow in understanding and mutual respect ... The internet, in particular, offers immense possibilities for encounter and solidarity. This is something truly good, a gift from God." The sentiment is certainly positive, although it could be met with skepticism by anyone who's spent time browsing comment threads. Even Francis acknowledges that the internet has its hazards: "The speed with which information is communicated exceeds our capacity for reflection and judgement," Francis continues. "The variety of opinions being aired can be seen as helpful, but it also enables people to barricade themselves behind sources of information which only confirm their own wishes and ideas, or political and economic interests ... The desire for digital connectivity can have the effect of isolating us from our neighbors, from those closest to us." Rather than suggesting that followers should avoid online media, Pope Francis instead encourages Catholics take a "neighborly" approach to communications to better learn from each other. "The world of media also has to be concerned with humanity, it too is called to show tenderness," Francis explained. "The digital world can be an environment rich in humanity; a network not of wires but of people. The impartiality of media is merely an appearance; only those who go out of themselves in their communication can become a true point of reference for others."